Rancho Camulos sits at the gateway to one of the largest urban population centers in the country. Nowhere else in California can one experience a rancho of this type in its historic landscape setting. Indeed, the charm of Camulos is in no small part due to its remoteness from the frenetic activity of the city, the drama of the valley and surrounding mountains. Yet the museum’s location halfway between Los Angeles and Santa Barbara (the rancho had been a stopping point on the original stage coach route between these two cities) makes it easily accessible to audiences visiting or living in the tri-county area. 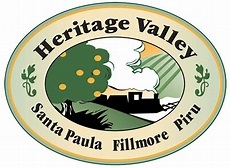 As a Ventura County’s only NATIONAL HISTORIC LANDMARK (NHL), Rancho Camulos is considered the “crown jewel” of Heritage Valley—a tourism enhancement effort designed to promote the region’s diverse cultural heritage while protecting its unparalleled scenic beauty. The NHL designation was awarded for the rancho’s place in American literary history as the setting for Helen Hunt Jackson’s epic 19th century novel Ramona, first published in 1884 and still in print today. The museum property sits within a larger 1,800-acre working agricultural ranch and incorporates several historic buildings including the expansive 11,000 sq. ft. del Valle adobe home (built in phases beginning in 1853 through 1880), a family chapel, brick winery, barn, bunkhouse, a second Colonial Revival-Style adobe, and a 1930 school-house (see site map). There are also a number of unique landscape features, including citrus orchards, extensive rose gardens and cork oak trees. The story of Rancho Camulos is the story of Southern California—an early Native-American village, the home of a prominent Californio land grant family (referring to early Hispanic settlers), the setting of an epic 19th century novel, a symbol of tourism and hospitality, and its ongoing history as a diverse agricultural operation that has endured and evolved for over a 150 years. The museum’s period of interpretation is from 1853-1943. This time span represents the actual founding of the rancho when the first adobe structure was built, through the death of August Rubel who purchased the property from the del Valle family in 1924. Mr. Rubel updated the adobe home and made additions to the property, though he was always sensitive to the historical legacy he had acquired and considered his family to be “stewards” of an important piece of California history. The Rancho Camulos Museum was formed in 1994 in the aftermath of the Northridge earthquake Damage sustained in the earthquake brought Rancho Camulos into the limelight of threatened historic resources in Southern California. The extreme and dire circumstances—crumbled adobe walls, fallen roofs and toppled brick masonry—intensified the need to save this precious site. Through a combination of public grant funds and private contributions, the museum has been addressing issues involving seismic engineering and retrofitting, building maintenance and restoration, and revitalization of the gardens and grounds. The museum has a very dedicated staff of docent volunteers who are constantly expanding interpretive programs and special events for visitors, including school tours, toward the goal of realizing the site’s potential and expanding our knowledge of early California social and agricultural history.